I never thought I was a screamer. So here’s the Golden Rule of parenting: Never say, “But I’d never do that!” about another parent’s behavior. Don’t even think it. Because this is basically an open invitation to tempt fate and engage in this very behavior more or less immediately. Take yelling. 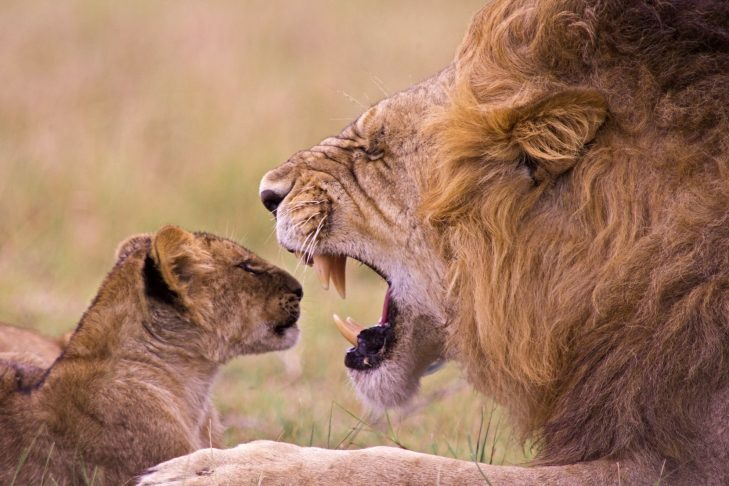 I never thought I’d yell at my older son. I thought I’d rationally explain rules and that he would follow them. Why? For a long time, this was actually the case. He was incredibly laid-back. He was an easy baby and a placid toddler. My kid did what we asked. He almost never threw a tantrum. Nursery-school conferences consisted mainly of pleasantries. He didn’t whine. He was predictable and almost always good-natured. Life was easy. Last month, we had another baby. And, last month, my bigger son started kindergarten. And my super-easy child, the one who never caused any trouble, became contrary. He talks back sometimes. Everything is a negotiation, from getting dressed to eating dinner. He whines and pouts. He takes approximately 309 hours to get ready for school and refuses to discuss his day. And, to be honest, I don’t know how to deal with it. I’ve never had to deal with it. And last night, I lost it. He whined about some inconsequential thing, then refused to go to bed and stomped his feet (this was new), then began yelling and proceeded to wake up his brother, who had finally drifted off to sleep after an hour-long shrieking jag. My husband was out playing poker. I was alone, in the same yoga pants I’d been wearing since roughly last week, my carpet was encrusted with cracker crumbs and dried milk and there were three dirty diapers rolled up in the hallway like lonely burritos, waiting to be escorted to a Diaper Dekor. Everything was disorganized and chaotic and bleak, and I felt like a failure. And so I just screamed. I had no playbook. I had no manual. Instead, I reflexively remembered how my own parents would act if my brother or I acted out. Bad behavior just wasn’t tolerated. It wasn’t acceptable. God help me if I threw a temper tantrum. One look from my mother would send me scampering into my room. She was in control. It was not a democracy. I wanted to showcase the same control, but instead I felt totally frazzled, standing there on the staircase, capable only of a primal hiss. He looked at me with something that resembled genuine fear. He’d never seen me scream at him before. Not really. He scampered up the stairs. He leapt into bed. Suddenly he looked very small. His brown eyes were open wide, and he looked afraid. I felt terrible. Terrible! How could I have screamed at him? Of course, the previous week I’d happened upon a study about how yelling at a teenager is as bad as physical punishment. If it’s bad for teenagers, who knows how bad it is for a 6-year-old? Well, he settled down, and everyone apologized to everyone, and I told him a bedtime story and life moved on. But this will happen again. Maybe even tonight. And right now, my only comeback for his behavior is, “This isn’t tolerated.” Weak! Is that enough? It was enough for me as a little kid, but maybe that won’t fly for him. And I don’t think screaming about it is the answer. The bigger problem is that for the first time since he was a baby, I feel completely off my game. I was spoiled. I wasn’t tested. Now I’m being tested, and I’m not sure what to do. A sense of security (maybe even smugness?) has given way to helplessness. Now, the Jewish tradition prizes discipline. I don’t pretend to adhere whatsoever to any sort of religious doctrine when setting boundaries. But there’s some solace here. Historically, discipline hasn’t been seen as a bad thing: “Whoever God loves, He admonishes.” But right now I’m unsure how to discipline with love. I’ve always been able to rationalize and explain. But there’s no rationalizing or explaining when your child plants himself mid-staircase and flatly refuses to go to bed. Sometimes, there’s only anger. And I’m not sure what to do. But I do know that other parents have completely lost it and then ended up feeling sorry later, too; I’ve talked about it with them, I’ve emailed about it with them, readers have asked me about it. And I’ve only understood abstractly, until now. So I just want to say that I relate. I feel you. Sometimes you scream at your innocent little kid, and it makes you want to cry.